San Angelo is known as “The Pearl of West Texas.” Located along the heart of the Concho River in the heart of ranching country, San Angelo is a great place to discover western frontier heritage as well as cultural attractions, food, and family friendly activities. I attended a media weekend as a writer with Texas Travel Talk and I'm completely sold on the charm of San Angelo and the myriad of things I found for my family to enjoy there. I'm sharing my list of nine reasons to visit San Angelo Texas and I hope you'll find some time to visit this warm and lovely Texas city during your Texas travels. 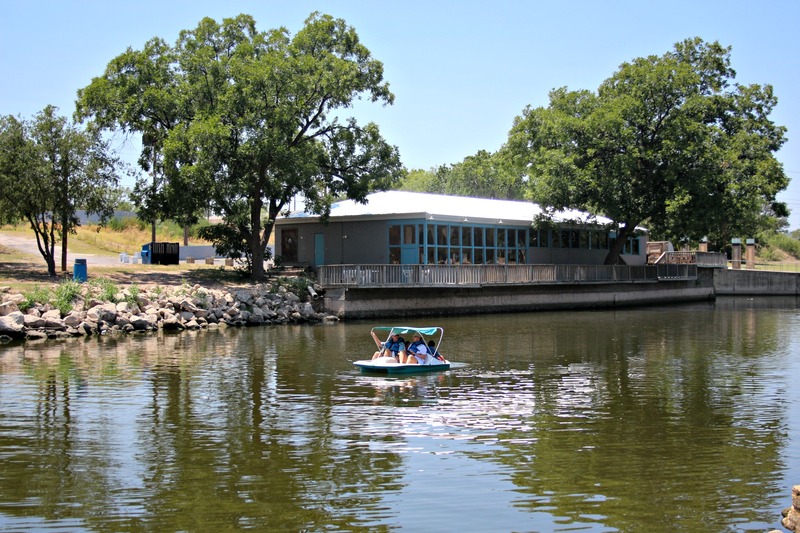 We found so many things to do in San Angelo Texas and we're sharing our favorites with you here. San Angelo is a city of 100,000 people (I know, I was surprised to learn how many people live here) that services a hub of a 13-county area, supported by agriculture, manufacturing, education, business and health services, military, tourism, and retirement. San Angelo is home to Goodfellow AFB and Angelo State University. It even has an airport. That said, it's not “big city Texas.” Visitors to the Lone Star State usually think of San Antonio, Dallas, or Houston…or even Austin…when planning their Texas travel itineraries and that's OK…but there's some magic to be found in the West Texas city of San Angelo as well. 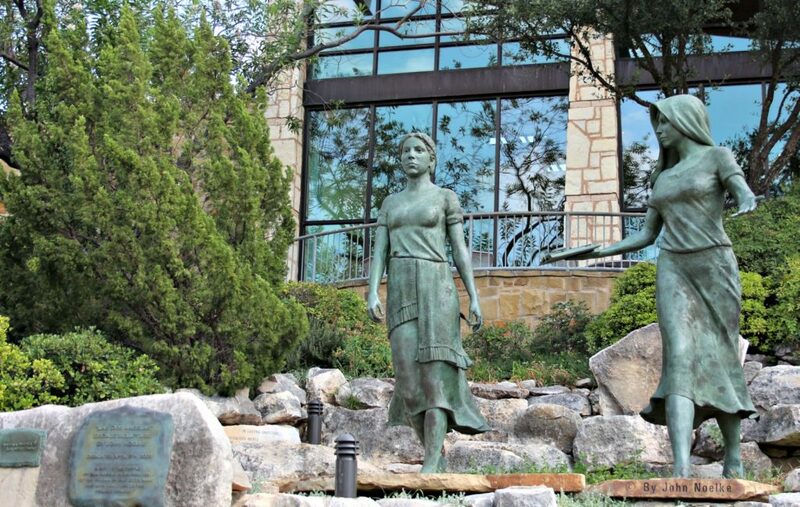 If you have some time to explore our state or are looking for a lesser explored city that still offers lots of things to do, San Angelo is calling you. Texas is a big state. I know you're familiar with the saying “everything's bigger in Texas” but the sheer size of the state can be daunting when you're driving through. If you're driving from Amarillo (up in the panhandle) to Brownsville (on the Southern tip) you are looking at 12 hours in the car…that is, if nobody asks for a potty stop and are you kidding? Of course they will. San Angelo is, for the most part, very walkable. This is one of the things that make it a great travel stop if you need a day's break from the road. If you're driving across Texas on your way East to West or West to East and you don't want to drive a full day, consider a pit stop. Pit stops are sanity savers on road trips, in my opinion. We look for road trip stops that offer nice, family-friendly hotels, a variety of places to eat and something to do and experience. Sometimes, we want to experience local cuisine and other times, we want the familiarity of McDonalds. On a road trip pit stop, we want comfort. We want options. We want things to do or the option to do nothing in total comfort. Good news, y'all. San Angelo has all the things. 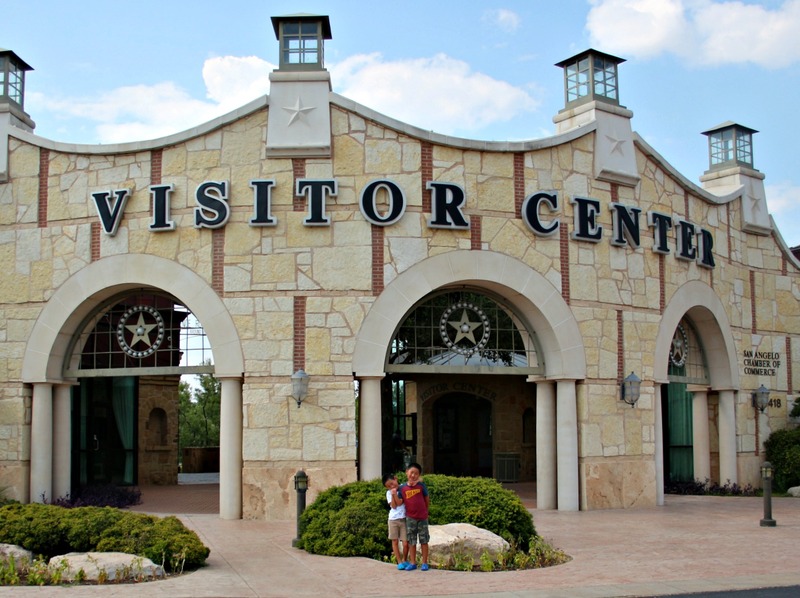 I always (always, always, always) recommend travelers stop at the visitor's center at any given destination. The visitor's center is typically staffed with someone who not only knows the area well but someone who is passionate about their city. The San Angelo Visitor's Center does not disappoint. 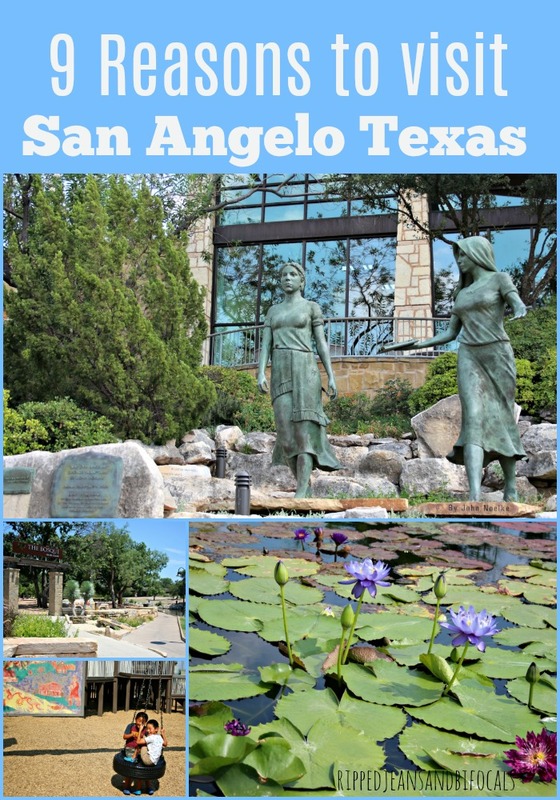 There are rows upon rows of brochures that give info on things to do in not only San Angelo, but the surrounding area. There are clean restrooms, free maps, free coffee, and…although I'm not sure if this is the typical experience but the lovely woman working at the San Angelo Visitor's Center when we came through gave each of us a bottle of cold water. West Texas is hot in the summer, y'all, and I'm pretty sure we looked pretty wilted. We appreciated the water. The back of the visitors center has some great places to take pictures or just relax – there is a bit of seating in the shade. 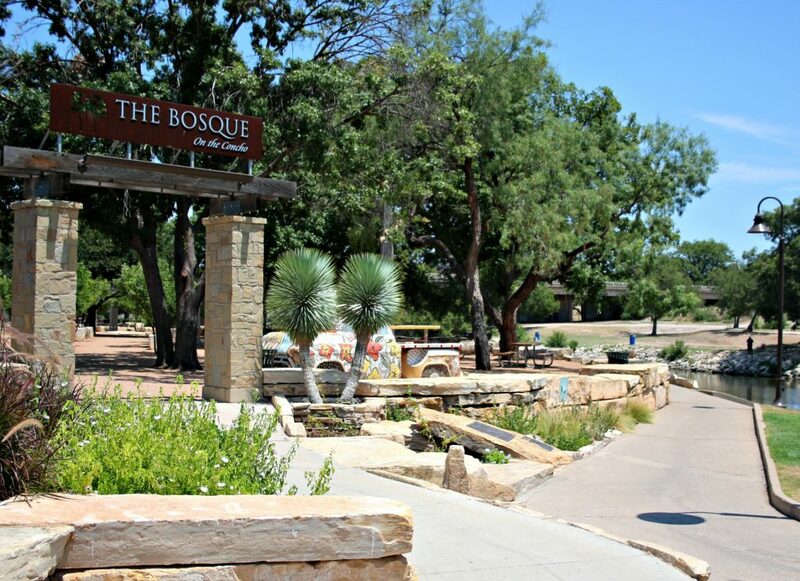 The Bosque is a park that has loads of things for families to do. There's paddle boats available for rent, miniature golf, volleyball, and other outdoor games. There's also plenty of shaded seating for picnicking or socializing. None of the activities at the Bosque are overly expensive so this is a great, budget friendly activity. Kids Kingdom is a lovely playground that sits directly across the river from the Visitor's Center. 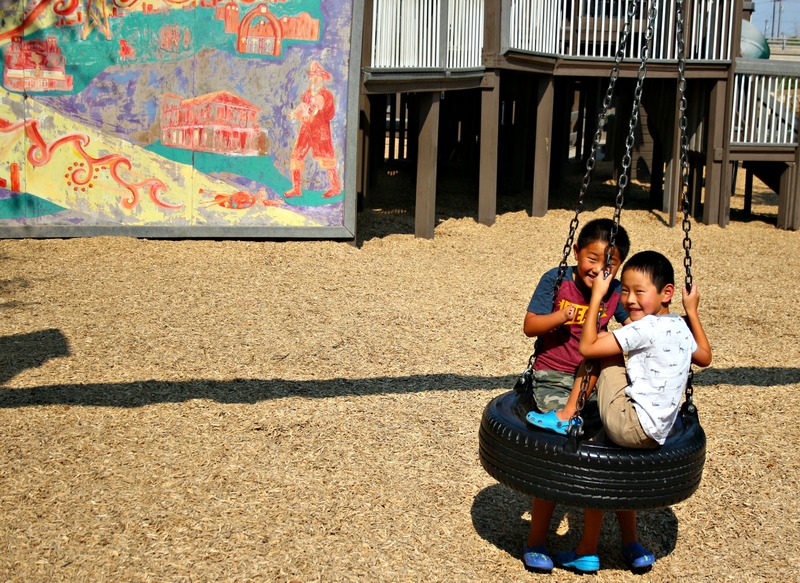 There's plenty of picnic tables and shaded seating for parents to relax while their little ones burn off energy. Kids Kingdom is totally free. There are onsite restrooms and during our hour there, the ice cream man paid us a visit. There are also some fun photo opportunities across the river and to the left. This was a fun little pre-dinner activity for us. 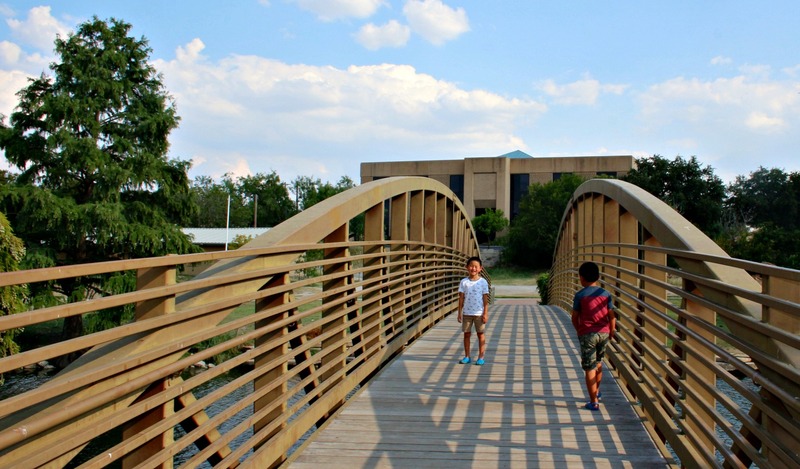 If your kids have been riding in the car all day and San Angelo is your pit stop, Kids Kingdom followed by a walk along the Concho River before dinner is a perfect plan. 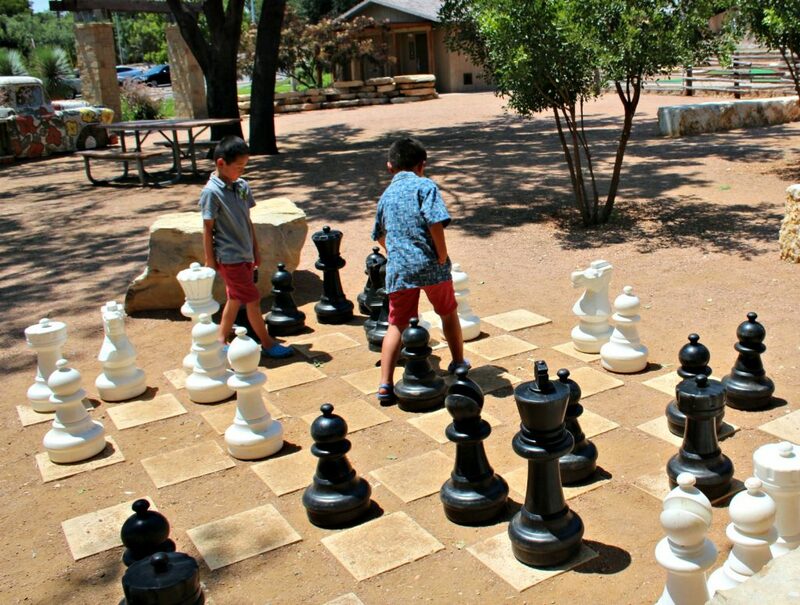 There's lots to do at San Angelo State Park. You can check out bison and real Texas Longhorn cattle as well as hike, camp, fish and geocache. Angelo State park has over 50 miles of multi-use trails for hiking and exploring. You can download the trail map from the park's main website. San Angelo State Park offers a Junior Ranger program, loan of fishing equipment and more. Check out their website for details. This is a great place to explore and take pictures. There's a lot of education to be had but it feels very “hands on” so your kids won't complain about being forced to go to “another museum.” Is it just my kids that do that? There's lots of room to run around and explore at Fort Concho. We visited Fort Davis National Historic Site earlier this summer and we saw some familiar names in the museum…some of the officers who'd served at Fort Concho also served at Fort Davis, so that was a cool thing for my kids to see. 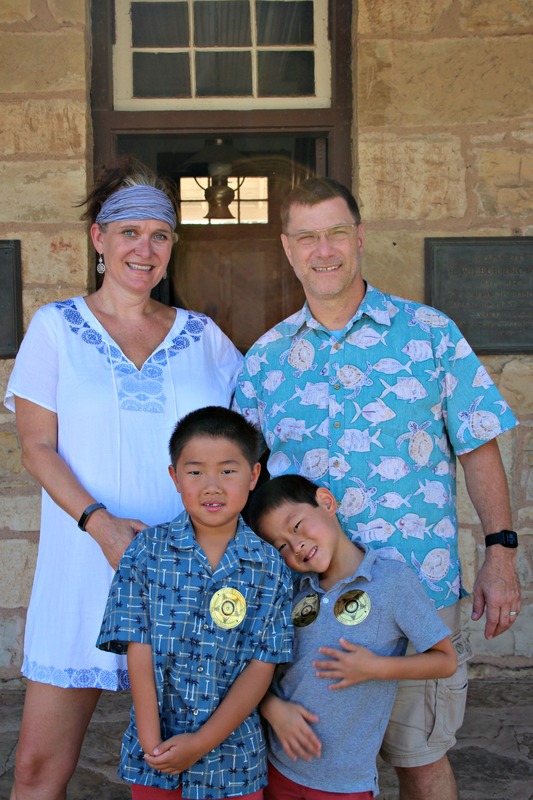 Read my review on things to do in the area around Fort Davis (located near Marfa, Texas) here. 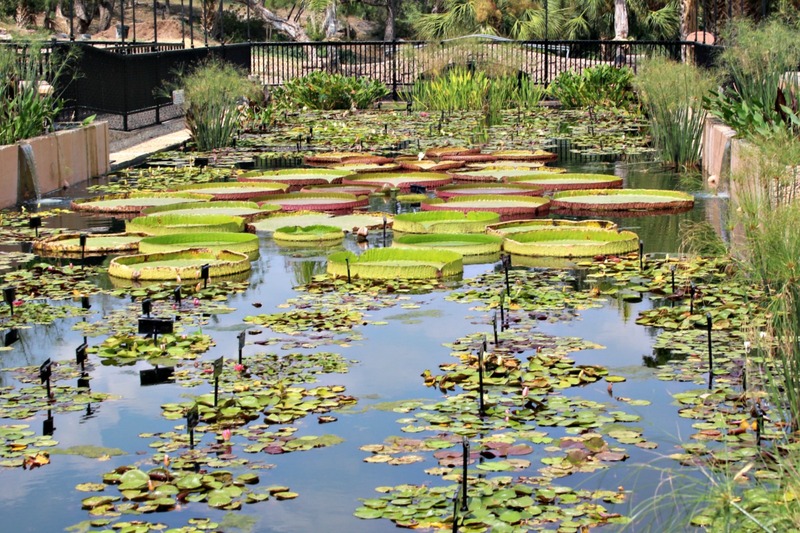 You wouldn't expect a city in West Texas to house the largest collection of water lilies in the world, but it does. The collection is in Civic League Park and is free to the public. 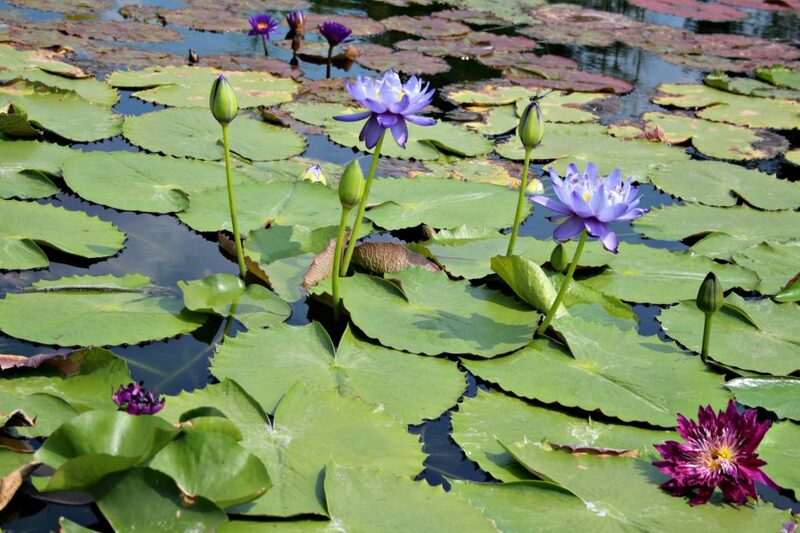 The park is open 24 hours a day, as some of the species of water lilies only bloom at night. I enjoyed looking at the flowers but this isn't an activity kids will be crazy about. There is also virtually no shade, which makes for a short visit if you're going during the heat of the summer. San Angelo Museum of Fine Arts is kocated near the heart of downtown San Angelo and overlooking the Concho River. You'll find three spacious galleries as well as a large rooftop sculpture terrace with a beautiful view of the city. They also offer a gift shop with unique items and works of art created by regional artists and craftspeople. Check the website before you visit to get info about any special events or exhibits. From shopping to dining to photo opportunities, you'll find plenty to do and see (and eat!) in the very walkable downtown area. 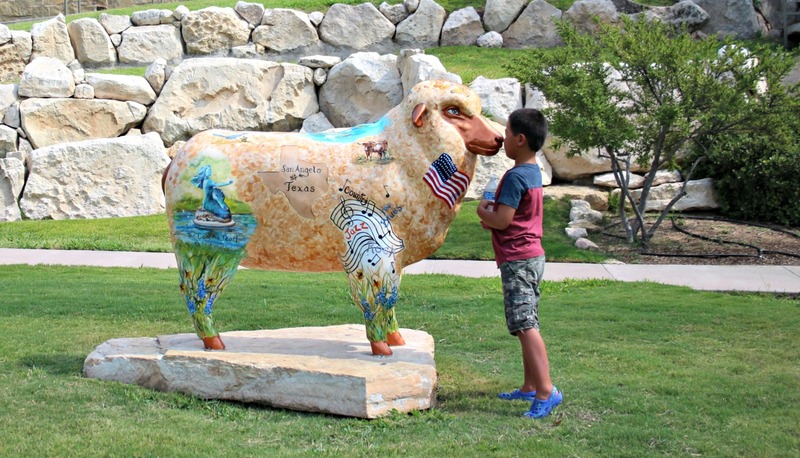 You'll find several of the iconic San Angelo sheep statues in the downtown area as well as other locations around the city. 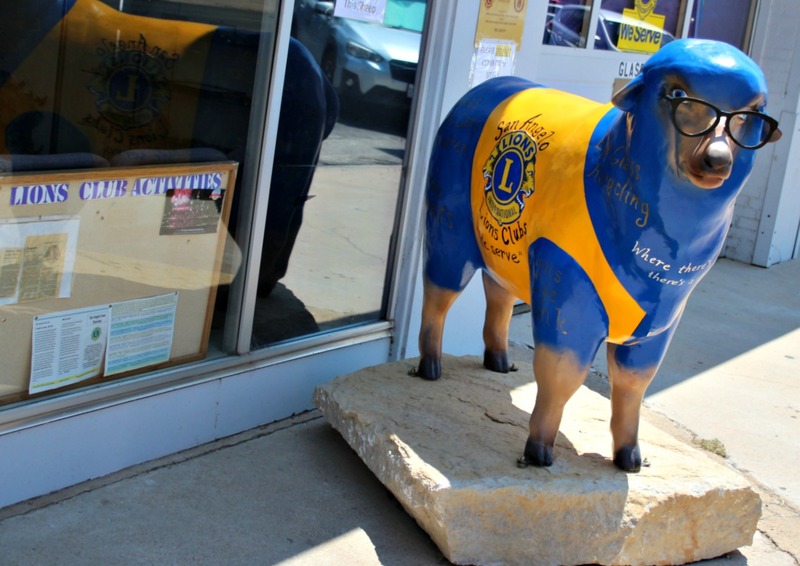 The sheep statutes give a nod to San Angelo's importance as a wool marketing area. The sheep are decorated by local artists and will somehow relate to the business which they stand guard over. For example, the statue in front of the Lion's Club chapter is wearing glasses. The Lions Clubs' service projects include assisting people with eye exams and eyeglasses. They are fun to spot and photograph. How many San Angelo sheep can you spot? I strongly recommend The Angry Cactus. It's a casual dining atmosphere but the menu is a foodie's paradise. I recommend the Chicken Fried Steak Medallions because OMG. My husband had the bacon wrapped pork tenderloin which also looked very good. They also have a selection of gourmet macaroni and cheese and some amazing appetizers. They also have a full bar. If you're looking for good Mexican food, then Fuentes Cafe Downtown is your place. Another fun place to eat is Miss Hatties Restaurant and Cathouse Lounge. The building used to be a bank with a secret passageway to the local bordello. A lot of the decor and architectural details are preserved from the original building and if you ask, your server will tell you some really fun stories. Another one of my favorites is the Twisted Root Burger Company. It's not exactly local…it's a franchise…but the burgers are delish and ordering them is a fun experience. If you've ever eaten at the Twisted Root in Waco, this one is a different experience. The menu is the same but the atmosphere is fun and light, overlooking a volleyball court versus a totally dark interior with crazy black light decor. If you want something sweet (and of course you do) check out The Latest Scoop. They serve up delicious homemade ice cream (as well as frappes, smoothies and some other stuff) with unique flavors like Mexican Vanilla, Blueberry Lavender, Roasted Strawberry and more. I recommend the Mexican Vanilla and the Sea Salt Butter Pecan. I feel like I'm in danger of getting my Texan card yanked for saying this, but it's better than Blue Belle.